Are you always on the run? Does your busy lifestyle mean you’re not getting enough real nutrition in your diet? Or do you simply not know what to add to your diet for a vitamin boost? We want to share with you a great way to pack all the essential vitamins into your day. And fast! At Brauer Natural Medicine, we are quite partial to a good smoothie. Especially when the sun was out and we were all after a natural summer detox! In fact we have devoted quite some time (read hours) on Pinterest finding the most delicious recipes. It can be hard to get all the essential daily nutrients and green smoothies are a tasty option. Think of it as getting a big dose of natural medicine, all in one gulp. Have you heard? There is a quick and simple way that you can get all the vitamins you need for one day! Green smoothies are a great way to eat your raw veggies without even realising it. With the right ingredients, they offer unique health benefits. As opposed to juices, smoothies are a complete food because they still contain fibre. So get started today! Make them using kale, apple, spinach, avocado, blueberries, cucumber. It’s an extensive list, and you can experiment with different combinations and flavors. As long as you include those leafy greens you’ll be onto a winner, loading up your smoothie with antioxidants and vitamins. While you are at it, why not consider adding in some power-packed superfoods? Just a little addition can make all the difference to your health and energy levels. Think flaxseed, chia seeds, goji berries or even a dash of chlorophyll. If you don’t already have these in your life then it’s time to start getting them into your daily diet. They keep us all here in the Brauer office ticking over throughout a busy day! Our favorite is an banana and almond milk green smoothie. Not only is this smoothie totally refreshing with an awesome kick of potassium, it is also packed full of powerful and healthy greens. It tastes delicious and has an essential health kick. What more could you ask for? If you need an extra boost of energy to get through your day, why not add a shot of our Brauer Natural Medicine Focus Oral Liquid? So satisfy your hunger, get some essential nutrition and enjoy a refreshing drink! Get blending today for the naturally healthy lifestyle you crave. 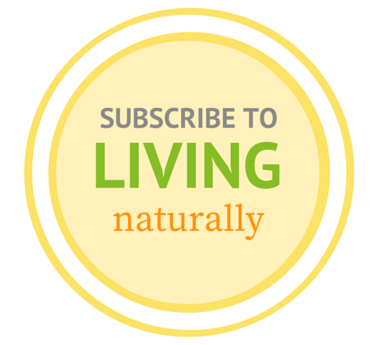 If Living Naturally is part of your day, then you might like to receive more from our Living Naturally Blog. Like this article? Share it on social media.